As a fan of Custom Builders, I have always been fascinated by the instruments these Luthier made. 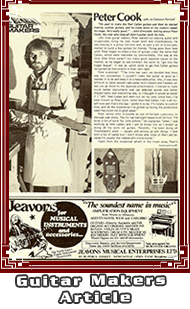 One of the earlier builders of... "Something That Was A Bit Different", was the visionary guitar designer Peter Cook. 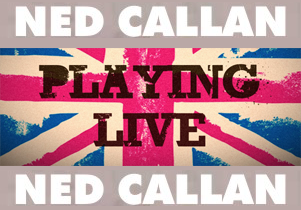 Ned Callan is the pseudonym for luthier Peter Cook, a true British Musical Legend. Cook, listed his Ned Callan instrument advertisements as... "Guitars & Basses that are Hand-Built by Craftsmen for the informed Musician." 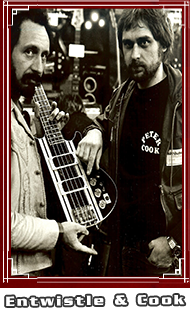 Peter Cook, is perhaps most famous for building weird and wonderful Custom Basses for John Entwistle and also his work on Pete Townshend's guitars... but Cook's story goes back further. 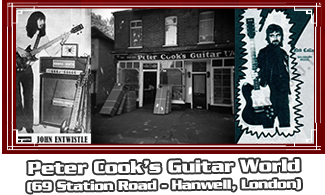 In the early days Peter Cook was the guitar-tech for Entwistle. 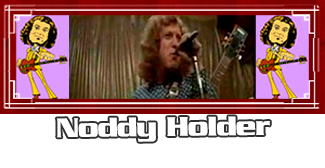 Eventually, Peter Cook started his own company under the name Ned Callan. In the mid-1970's Cook started using Shergold to assist in the Ned Callan manufacture process. 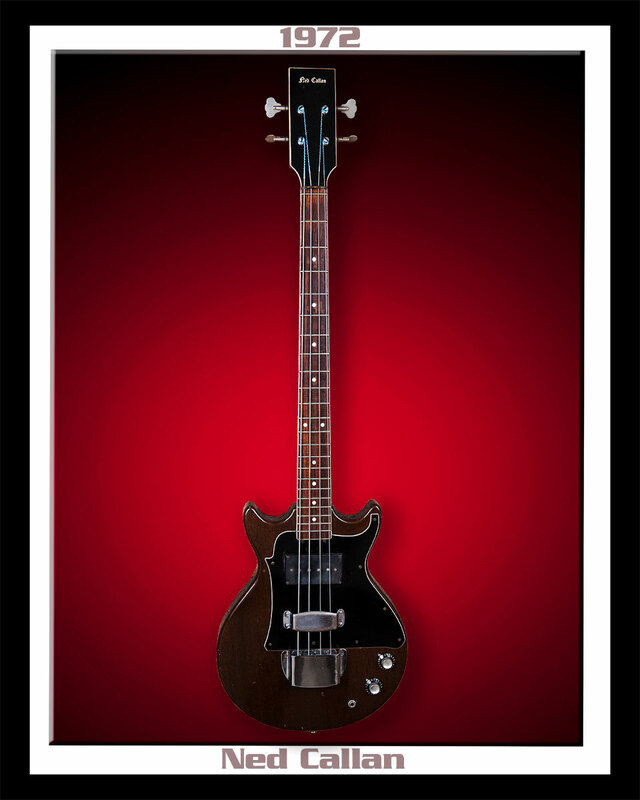 This particular Ned Callan Bass, listed on this page, pre-dates Shergold and is one of the original models that was hand-built by Peter Cook. This Custom Bass features Super Flux Hand-Wound Pick-up, Micro Adjustable Bridge and a Steel Truss Rod. The previous owner of this Ned Callan Bass worked for a few touring bands in the 70's, which included The WHO. This Callan Bass had been given to him as a gift. 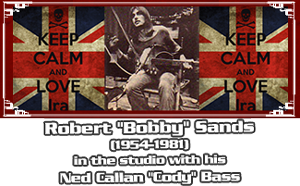 Now, the only prominent musician I can find who ever played a Ned Callan Custom Bass was John Entwistle. So, was this one of John's personal Basses... "WHO" Knows. 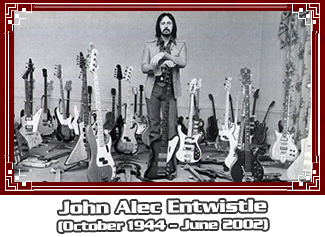 The only thing I know... while Pete Townshend was breaking guitars on stage, Entwistle was in the studio breaking new ground on his Ned Callan Bass.